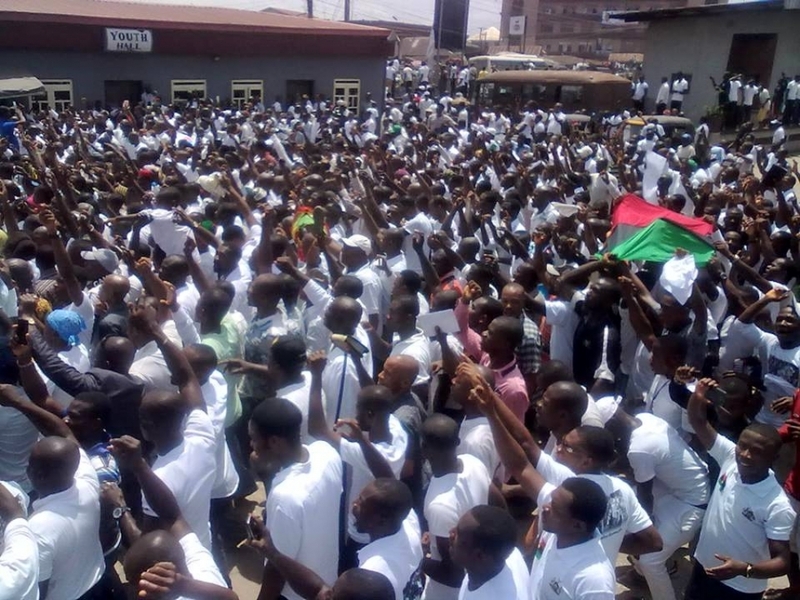 The Indigenous People of Biafra, IPOB and its Directorate of States, DOS, have accused the British Government of being selective in their fight against human rights abuses, upholding the rights and dignity of the indigenous people and upholding decency in the standard of human treatment, particularly as it concern Biafrans. IPOB alleged that Britain was vocal in pointing out the human rights limitations of the Guantanamo Bay detention facility for Islamic terrorists, but has made a volte face in condemning human rights abuses against IPOB members and Biafra agitators, describing the situation as quite an unfortunate for a country such as Britain. The self determination group, described as shocking, the British Government alleged persistent refused to openly condemn the frequent alleged public slaughter of countless innocent IPOB members by the Nigerian Army, because they allegedly are the suppliers of such destructive weapons used against IPOB and other Biafra agitators.